A couple who intends to be married in Illinois must apply in person for a marriage license in the county clerk’s office where the marriage will be performed. There is no residency requirement for out-of-state applicants. While applicants may apply for a license in any county, the license is only effective in the county where issued. Therefore, the marriage must take place in the county where you obtained your license. The application for a license must be signed by both parties in the presence of the county clerk. A representative cannot apply for the license on behalf of the couple. This applies even if the representative has been given power of attorney. Notarized marriage license affidavits signed by the couple cannot be substituted for her or his personal appearance. Please note that both parties must be present, in person, to complete the application. It takes about 20 minutes to process the license. 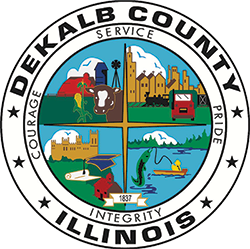 A couple who intends to enter into a civil union in Illinois must apply in person for a civil union license at the county clerk’s office where the civil union will be performed. Before issuing a civil union license to a person who resides and intends to continue to reside in another state, the county clerk will require affidavits or otherwise that the person is not prohibited from entering into a civil union by the laws of his/her jurisdiction. The application for a license must be signed by both partners in the presence of the county clerk. A representative cannot apply for the license on behalf of any of the partners. This applies even if the representative has been given power of attorney. Illinois has a one-day waiting period. For example, if the license is applied for on Wednesday, the civil union may occur on Thursday. For just cause, the one-day waiting period may be waived by petitioning the court. Who can enter into a Marriage? Who do I contact to have my license certified at the Courthouse? How do I receive a certified record of my Marriage or Civil Union?